Pen:Pelikan m200 Demonstrator, Fine nib. Lets start this review off with a confession of sorts. 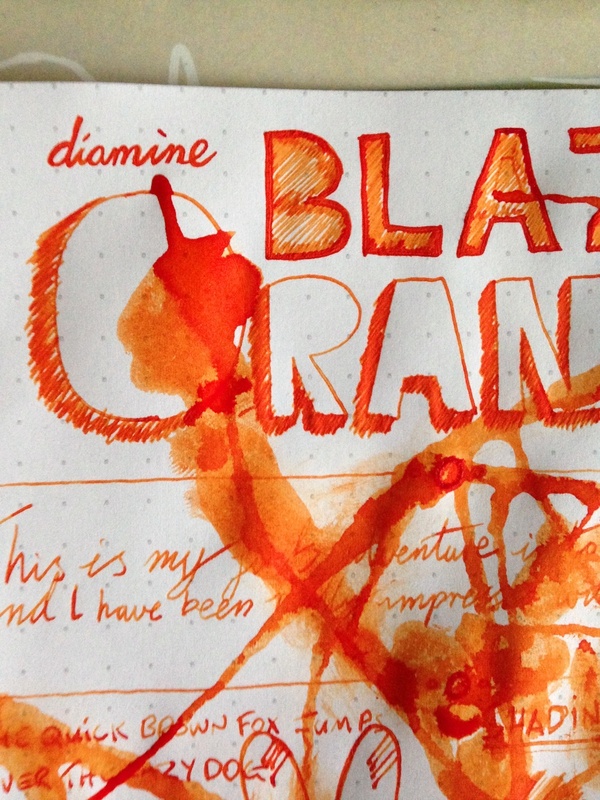 I only bought this ink as I thought it would look cool in my new Pelikan…. and you know what? it does! This ink is also part of my new quest to try different inks and explore what is really out there instead of the standard dark colours I would normally use. 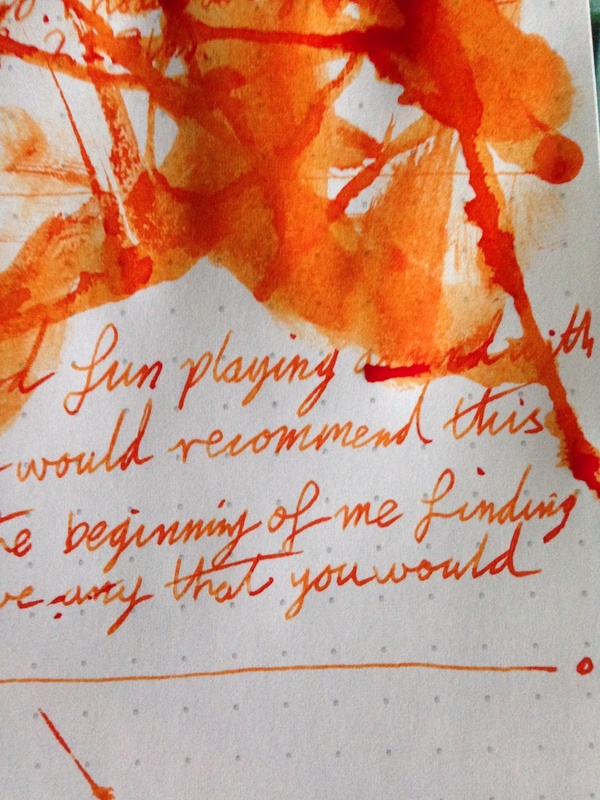 I really love the different shades of orange you get while writing. It goes from a pale orange to a really bright orange with possible hints of red. There is also a lot of depth to the different levels of shading you can have. This really stood out for me while I was doing the custom lettering for the title. 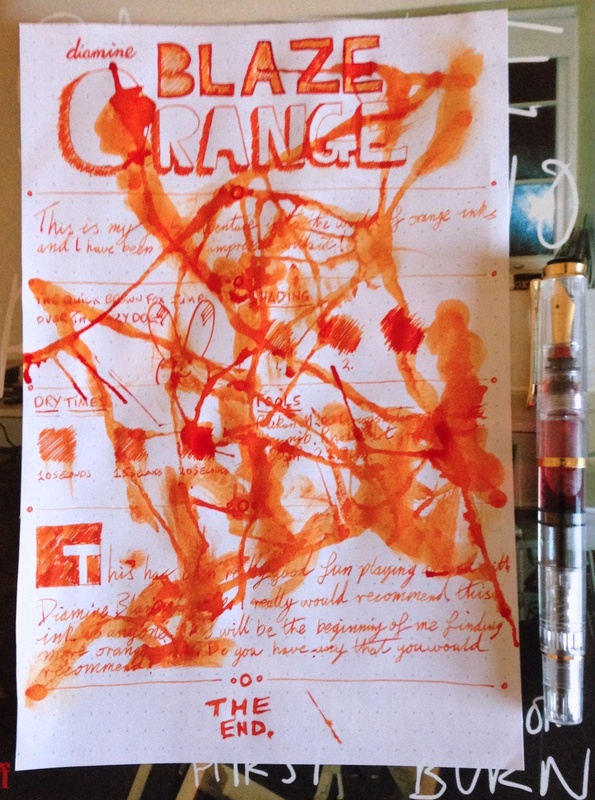 The more you shade this ink the deeper the orange becomes. 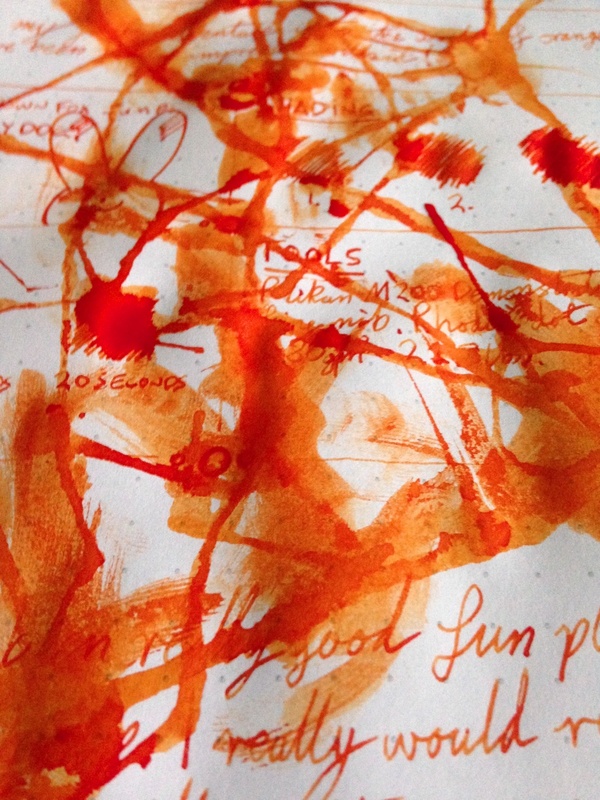 The drying times were pretty impressive even with me flooding the page with this ink. I have been impressed that much I might actually have this as one of my daily carry inks. I don’t think it would work as a everyday ink for writing but for as a highlighting ink of sorts. Maybe for making correction notes?